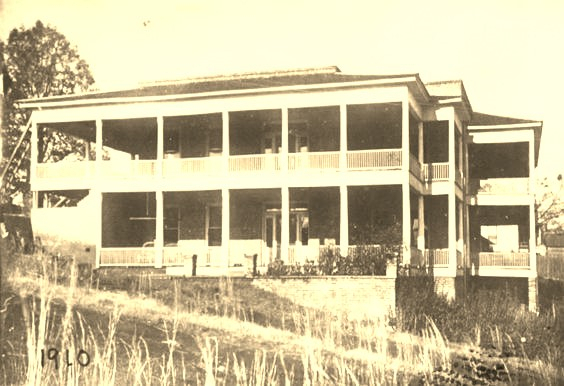 Lake Guntersville Bed & Breakfast, also known as the "Hooper House", is a registered Historic Home, built in 1910 by Alexander Hooper. It is located two blocks from the downtown center that's filled with antiques, shops, and restaurants. It sits on a hill that overlooks beautiful Lake Guntersville, a 69,000-acre lake that is surrounded by Appalachian Mountain foothills. All of our guest rooms have plush beds with premium comfort bedding, private baths with complimentary bath amenities, flat screen TV’s with cable access and a large selection of free movies, luxury robes for lounging, and most have a private entrance from our spectacular wrap around porches. Our 2nd floor has a common area with a refrigerator, coffee/tea station, and business center. There is also a brand new space on our 3rd floor that includes a media area, game room with pool table, and a gym! We have Happy Hour every day from 5:00-6:00 with complimentary wine, beer, or our homemade "Sangia". In the morning, we serve a gourmet style breakfast in our dining room or outside on our porch when the weather is nice. We offer freshly ground coffee, juice, a yogurt bar with assorted toppings, fresh fruit, and muffins, as well as a full plated breakfast. We've taken care of everything, so come relax and let us treat you to some true Southern Hospitality!